Pennsylvania is currently home to the Berks County Family Detention Center (BCRC), one of three detention centers for immigrant families, where children as young as two-weeks-old have been incarcerated, and families have been held for more than a year at a time. In 2019 the Berks County Detention Center (BCRC) will be entering its fifth year in operation as a immigrant family prison. That is five years of human rights abuses, due process violations, disregard of Pennsylvania and Federal law and the immoral and unjust treatment of immigrant families. The Shut Down Berks Coalition will continue to fight until this inhumane prison is shut down and family detention is put to an end in Pennsylvania. Governor Tom Wolf, Lt. Governor John Fetterman and the Pennsylvania Department of Human Services have the power to issue an Emergency Removal Order (ERO) on the Berks County Detention Center, an action that would ensure the facility can no longer be used as a prison. It is not only their moral obligation to keep families out of this prison but their legal responsibility. You Can Help! Attend a monthly webinar to learn how to host local events and download campaign resources. The continued incarceration of these immigrant families and the operation of BCRC is a disgrace and a stain on our Commonwealth. However, this stain could be erased by the PA Department of Human Services (PA DHS) and Governor Tom Wolf, who have the power to shut the doors of BCRC and pressure ICE to release these families. Unfortunately, neither PA DHS nor Governor Wolf have shown to have the political will to fully pursue all means available for releasing these families and shutting the center down. In August 2015, a Federal Court determined that the practice of detaining children in jail-like settings is illegal, and ordered Immigration and Customs Enforcement (ICE) to immediately release all families held in immigrant family detention centers in Texas and Pennsylvania (see full report on federal litigation). In January 2016, the PA Department of Human Services revoked the license to operate the Berks County Family Residential Center, and the facility license has been under legal review since February 22, 2016. 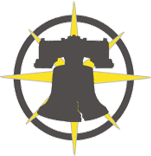 In the past two years the Shut Down Berks Coalition has repeatedly presented PA DHS and the Governor’s office with information on the human rights violations taking place at BCRC and what actions he can take to protect and release these families (see Human Rights First reports from Aug. 2015 and Feb. 2016). Extensive legal research was presented directly to Governor Wolf outlining the specific powers that he and PA DHS has to shut down BCRC, and yet they have refused to take action. The laundry list of abuses suffered by parents and children, children as young as two weeks old, has not been enough to spur anything more than minimal action. This nation, this state, that speaks of liberty and justice, will only speak hollow words until the Berks County Family Detention Center and all family detention centers are closed. During a time where the national dialogue includes talk of reviving internment camps and religious registries, now is the time for Governor Wolf to take action. Every day BCRC is allowed to operate, is another day of legitimizing the growing movement of hate, racism, and xenophobia plaguing our country. Stay Informed! Follow the Shut Down Berks Campaign on Facebook, Twitter, and Instagram and subscribe to the newsletter! AILA resources on Family Detention. 2016. “Detained children risk life-long physical and mental harm” Karen Zwi, Pediatrician and Associate Professor, UNSW. 2015. Why Detaining Children is Harmful. UNICEF. 2018. 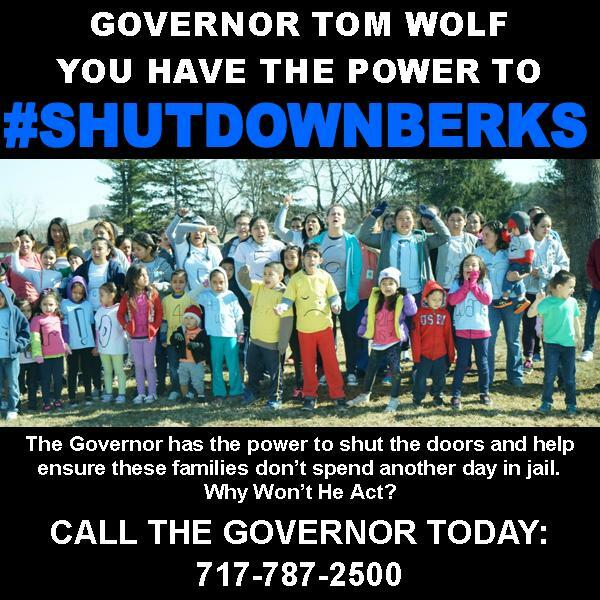 The Shut Down Berks Coalition is a group of organizations and individuals fighting to close the Berks family prison in Pennsylvania and end the practice of imprisoning immigrant families in the U.S.
*This is a selection, not a comprehensive list.